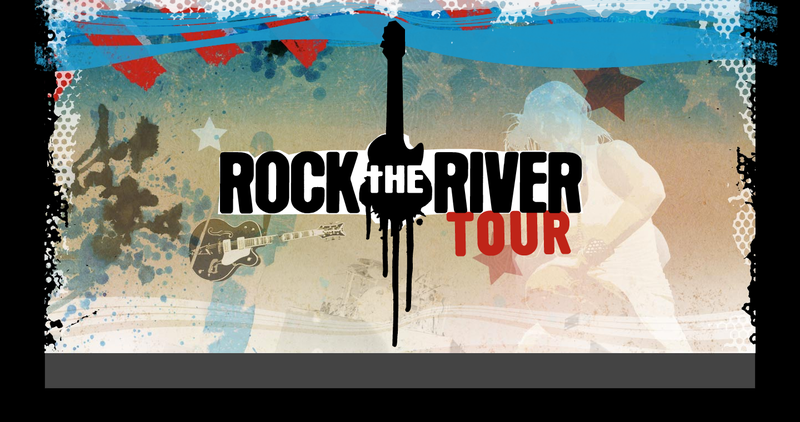 The Rock The River Tour started in 2009 and was put on by the Billy Graham Evangelistic Association. 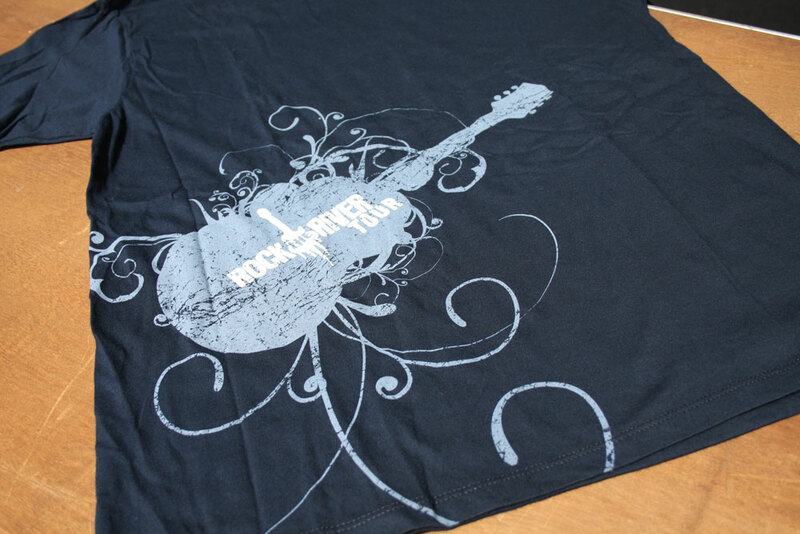 It was geared toward a teen and young adult audience, and featured bands like Red, Skillet, and Flyleaf. 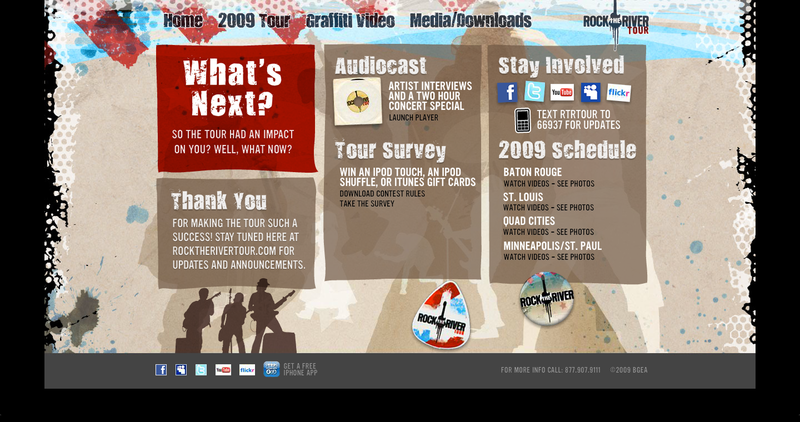 This overall project consisted of an original design for the website, starting with a basic promotional Flash site before the venues and artists were finalized, and went through six different iterations as the tour was planned, while it was ongoing, and after it had wrapped up. Along with the website, graphics and content were developed for Facebook, Twitter, YouTube and MySpace, as well as graphics for the Screens in the venue the day of the tour dates. These included the capability to interact via mobile media using the Mozes texting platform – spectators could send their text messages and photos to the screen, as well as sign up for the Rock The River Tour mob to receive updates on tour events on their mobile devices. 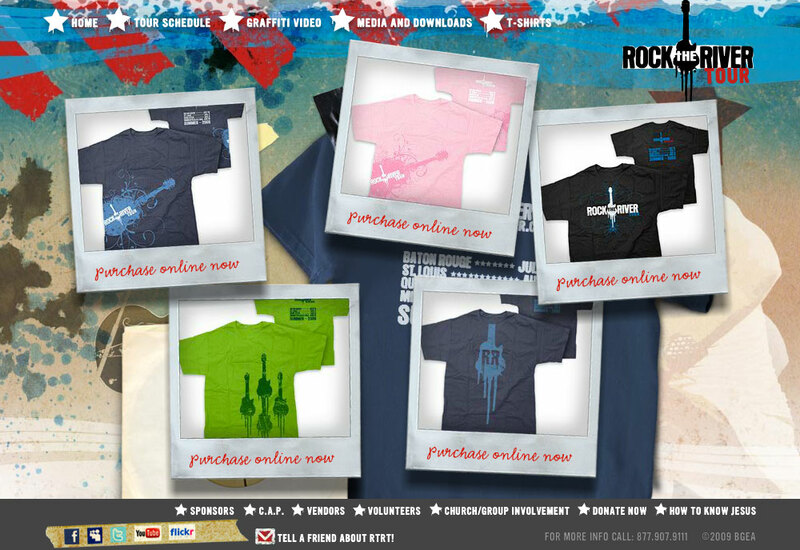 Several different Rock The River Tour t-shirts were created along with the site and venue graphics, and were sold both online and at the concert dates. Photos from the day of the Tour stops were uploaded in real time to the website as well as Facebook pages, and videos shot and edited on-site by the BGEA video team were uploaded in real time to YouTube as they were completed.